It’s official. The new owner of the Chicago Cubs will forever be know as the monster that changed the name of Wrigley Field. See this article from MLB.com. I have a pretty big problem with this having been a Cubs fan all of my life. 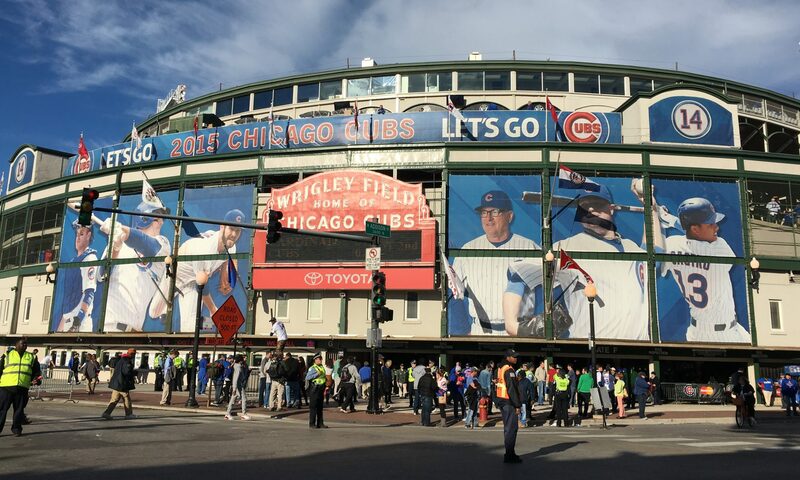 First off, no one will ever call Wrigley Field by any other name. Never. Whoever pays for the naming rights will have wasted their money because even the announcers will have a hard time referring to the stadium by anything other than Wrigley. Even though I loath the White Sox, I still have enough respect for their history to not call their stadium anything other than Comiskey Park. Come on! Anyway, Carrie Muskat from MLB.com had a pretty good suggestion that I thought could work. The best case scenario in this situation is for the Wrigley Company to come in and save the day. That’s right, the same Wrigley Company that was once owned by William Wrigley Jr. who’s name graces our favorite ball park. The Wrigley Company would look like a hero to every Cubs fan around the world, and it would be an incredible PR move. It’s a win-win situation all around. Now, I know it’s likely that the Wrigley Company will not want to ante up the $500 million that it’ll take to secure the naming rights so I have a suggestion of my own. Some years ago, the country had a similar situation that affected one of its most cherished institutions. I’m talking about the Rose Bowl. All of the major college bowl games had been renamed to include corporate sponsor names. The Rose Bowl stood out by not attaching a corporate name and instead took a unique approach that I think could work for Wrigley as well. We have The Rose Bowl presented by AT&T. Why not have something like “Welcome to Wrigley Field at Newco Park” on the marquee? A company gets to attach it’s name to a beloved ball park without the negative PR of having defaced a sacred building forever. It’s not the perfect solution, but it protects the history of the Chicago Cubs and brings in extra revenue for the team. As a huge fan, I would be fine with this kind of solution.